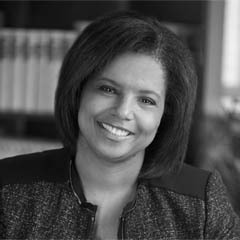 Sheila R. Foster is a Professor of Law and Public Policy (joint appointment with McCourt School of Public Policy) at Georgetown University. She joined Georgetown after many years at Fordham University where she was University Professor and Albert A. Walsh Professor of Real Estate, Land Use and Property Law. At Fordham, she also was the Co-Director of the Fordham Urban Law Center and founder of the university-wide Fordham Urban Consortium. She served as Associate Dean and then Vice Dean of Fordham Law School from 2008-2014. Prior to joining Fordham, she was a Professor of Law at the Rutgers University in Camden, New Jersey. Professor Foster is the author of numerous books, book chapters, and law journal articles on property, land use, environmental law, and antidiscrimination law. Much of her early work was dedicated to exploring the intersection of civil rights and environmental law, in a field called “environmental justice.” She is the coauthor (with Luke Cole) of one of the field’s leading texts, From the Ground Up: Environmental Racism and the Rise of the Environmental Justice Movement (N.Y.U. Press), and coeditor of the 2nd edition of The Law of Environmental Justice (with Michael Gerrard 2008). Over the last two decades, she has worked with state, federal and local agencies on environmental policy. Professor Foster serves on the New York City Panel on Climate Change (NPCC) investigating the relationship between climate change and inequality at the neighborhood level. Her most recent work explores the emerging concept of the “urban commons” and related property, land use and urban governance issues at the local and metropolitan level. Here work in this area includes The City as a Commons (Yale Journal of Law and Policy 2016) (with Christian Iaione) and Collective Action and the Urban Commons (Notre Dame Law Review 2011), which was voted one of the 5 best (out of 100) articles on land use published that year. Professor Foster is also the coauthor (with David Oppenheimer and Sora Han) of a groundbreaking casebook, Comparative Equality and Antidiscrimination Law: Cases, Codes, Constitutions and Commentary (Foundation Press). This casebook examines the development of laws around the world grappling with social inequality based on human differences. She has taught and conducted research internationally in Africa, Switzerland, Italy, France, England, Austria, Colombia, Panama, and Cuba. Professor Foster received her B.A. in English, with honors, from the University of Michigan-Ann Arbor and her J.D. in from Berkeley Law at the University of California. After law school, she was an attorney with Morrison and Foerster in San Francisco.